The Dow is flying high once again. 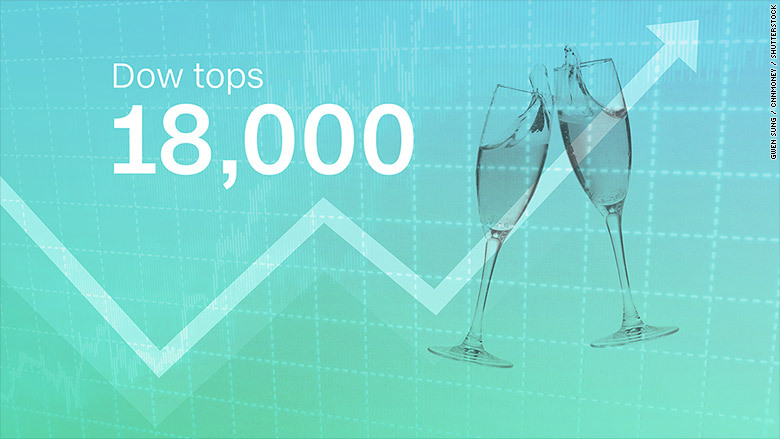 The index jumped about 100 points to close above 18,000 on Monday for the first time since July 2015. It's a pretty sweet milestone considering the Dow plunged to just 15,451 in January, as Wall Street freaked out over the crash in oil prices and China's economic slowdown. Cooler heads eventually prevailed as investors realized the American economy is not collapsing and cheap oil is actually good for most Americans. 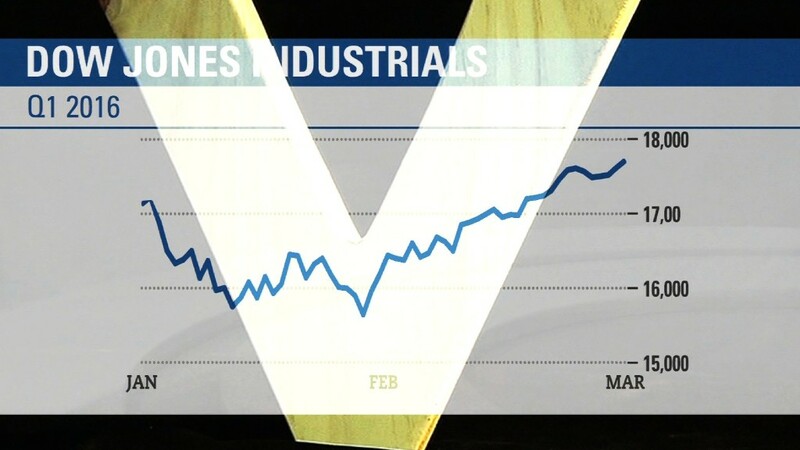 "The U.S. economy is not going gangbusters, but it's certainly not going into recession here," said Art Hogan, chief market strategist at Wunderlich Securities. The Dow is now up 16.5% from its 2016 low, and is within striking distance of its all-time record high of 18,351 set last May. The S&P 500 also closed at a fresh 2016 high on Monday. Even the Nasdaq is closing in on a key level: The tech index is now down just 1% on the year. That's impressive given the fact the Nasdaq was flirting with a bear market back in February. The timing of the Dow's ascent to 18,000 is somewhat surprising given the collapse of the oil production talks in Doha. Global producers including Russia and Saudi Arabia failed to reach an agreement to freeze output in an effort to ease the global glut. The Doha failure initially sent oil plunging 6% on Sunday, weighing on U.S. stock futures. However, oil bounced back and closed down less than 2%. That's why energy stocks actually led Wall Street higher on Monday, with Hess (HES) and Baker Hughes (BHI) jumping more than 4% apiece. "Energy prices seem to have stabilized. That's a good sign. It's been the piece of the puzzle that has helped the most," said Hogan.